Fujifilm has just released a firmware update for its retro-looking X10 enthusiast point-and-shoot camera. The update to version 1.03 brings a host of fixes and improvements to the excellent X10 including compatibility with Mac OS X Lion, better face detection and the ability to customize the “RAW” button’s function. The update also promises to reduce the ‘white orb’ blooming effect that many users have complained about, though it doesn’t eliminate it. New function for “RAW” button can be applied by customer’s preference. By holding down RAW button for approx. 2 second or more, RAW button can be applied into new function similar to “Fn” button setting. Each value set on ISO sensitivity and Dynamic range can be maintained even if aperture setting mode (P / A / S / M) is changed. Face detection function is upgraded to keep tracking face by means of face-tracking AF function. As this function is activated even in movie recording mode, AF on detected face in the movie becomes more effective. Blooming (White disk) phenomena, which can be observed in EXR AUTO mode, is reduced. Compatibility on Mac OS 10.7. When the camera is connected to Mac PC on Mac OS 10.7, the camera is effectively recognized. Additionally, compatibility on RAW FILE CONVERTER EX with Mac OS 10.7 has been confirmed. AF confirmation sound was controlled on “SHUTTER VOLUME” in the SET-UP menu. By this update, this sound is controlled on “OPERATION VOL.” in the SET-UP menu, just similar to another functions. The image area with high brightness might be recorded as “black-out” area, just in case of dedicated shooting condition, This unpleasant phenomenon is improved. When the flash is used under macro shooting condition, light-reflected area was shown in greenish. This unpleasant phenomenon is improved. The update can be downloaded from here. To update your camera, copy the downloaded .DAT file to the main directory of an SD card, pop-in the SD card in your Fujifilm camera while it is off, then hold “Disp” and turn on the camera. Follow the on-screen directions. 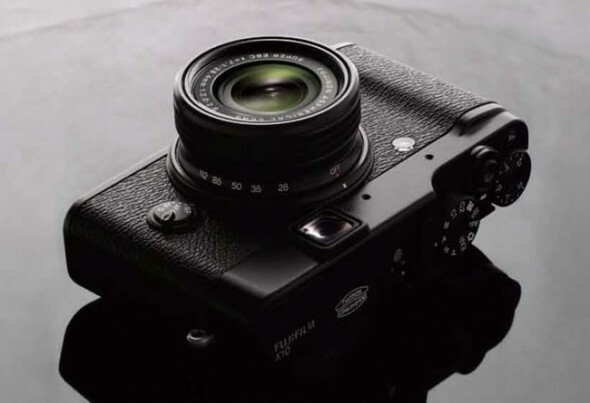 Fujifilm also released a minor update for the X100, v1.13, which tackles a language issue. If you are already on v1.12 and not facing any problems then there is no need to update.